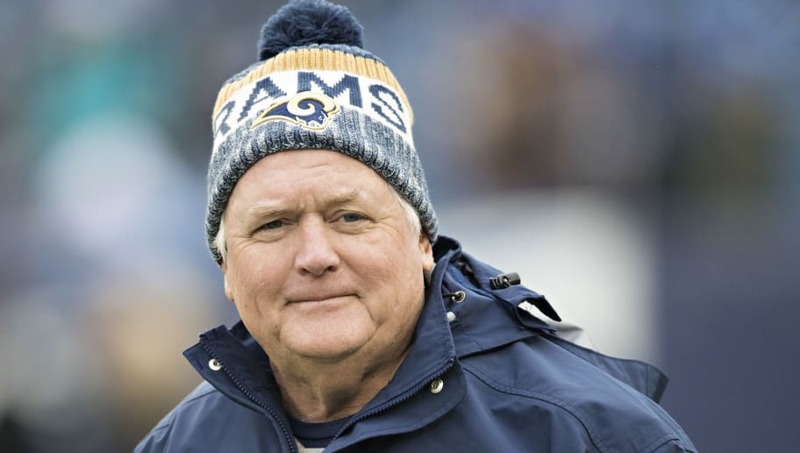 Ever since Wade Phillips landed his first coaching job in 1976, he has been a staple in the NFL. Featuring stops at 10 different teams, Phillips has employed a defensive system that has stood the test of time. Phillips work has earned praise throughout the league, the most recent of which coming from Bill Belichick, who will soon be facing him in the Super Bowl when the New England Patriots go head-to-head against the Los Angeles Rams. Belichick notes that he has evolved his system to meet the demands of the changing NFL, but Phillips' system has somehow been able to withstand the ever-changing offenses. Phillips' decorated and expansive career is a testament to exactly that. Belichick and Phillips have a long history of facing one another, which will occur yet again next Sunday. Since their first meeting in 1982, Belichick has a slight edge over Phillips. Bill Belichick has a narrow 17-16 advantage over Wade Phillips since their first meeting in 1981, according to @SportsRadio610 Phillips was DC for his father’s Saints. Belichick was Giants LBs coach under Bill Parcells. Since Belichick became NE head coach he has 6-4 advantage. During the Super Bowl, we'll be gifted with getting to watch two of the greatest defensive minds go against one another on the biggest stage. We'll see whose system prevails.